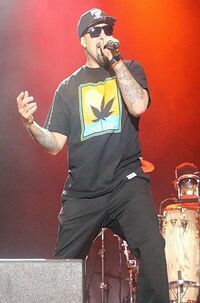 Louis Freese (born June 2, 1970), better known as B-Real, is an American rapper, best known for being a member of Cypress Hill. He voiced himself in the season 7 episode "Homerpalooza". Modified on September 12, 2014, at 09:49.